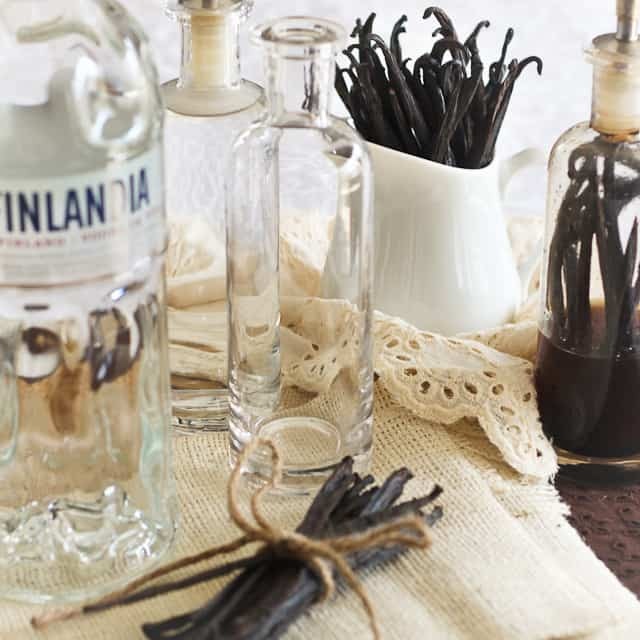 A little while ago, I stumbled upon the most informative and stunningly beautiful post ever on the art of making pure homemade vanilla extract. The only problem is, now that I am ready to share, I can’t seem to find that bookmark anywhere. I even remember tweeting it that day when I read it. I tried finding that, but tweets being very ephemeral in nature, they are very hard to track back after a certain (as in VERY short) time. Well, at least, I memorized the essential parts of that article, at least I think I did. First and foremost, you need to use LOTS of vanilla beans. Anything less than 8 beans to a cup of vodka and you’re only making “Vanilla Flavored Vodka”. Aaaaah, so that’s why I’d never really been super impressed with home made vanilla extract in the past. Vanilla beans being so expensive, I never used much more than 3-4 beans to a cup and a half vodka. Then one day, I realized that vanilla beans could be purchased online for a MUCH better price. There are plenty of great resources where you can buy the precious scented beans in bulk. 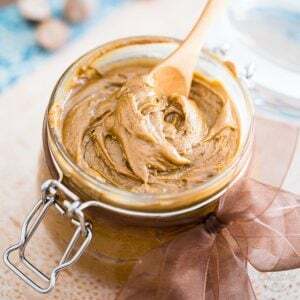 I now buy my vanilla by the pound and, while the initial investment might be a little steep, the price per bean gets considerably lowered, so much so I can now use vanilla in pretty much anything I fancy… from nut butter to smoothies! Never, in the past, would I have even considered using a $4 vanilla bean in a smoothie. But lower that price tag down to something like ¢50? I say just just throw it right in. Even half of one could do the job, but I love those little black specks so much… I just can’t get enough! And have you ever tried shoving your nose into a bag full of fresh vanilla beans? OH! THE SMELL!!! TOTAL, COMPLETE BLISS, I TELL YOU! Alright, let’s get back to that awesome article, shall we? Another thing it did mention is that you should never heat your vodka when you make vanilla extract. Why is that, you ask? Hmpft. I wish I remembered… But it made perfect sense, I swear! Now, I’d been meaning to make this batch of vanilla absolutely gluten free (I started it during Lent, you see) but unfortunately, I was unable to get my hands on a suitable non-grain vodka. They didn’t carry ANY at my local liquor store. Also, it is said that the distillation process removes all traces of gluten from alcohol, but there is much debate about whether this is true or not. So if you really are truly gluten intolerant, or if you’re a real purist, or if you’re simply a tad crazy and determined not to cheat on your Lent challenge like I was and want to make your vanilla extract absolutely, indubitably gluten free, well, all you need to do is find a vodka that’s not made from grains. Did you know that they actually made vodka not only from potatoes, but also from grapes, soybeans and even beets? I didn’t even known that before I started looking for gluten free vodka. Not too suprisingly, they didn’t carry that either at my local liquor store. … hopefully you’ll have more luck finding it than I did! Oh, right… one more thing! No one says you HAVE to use vodka. 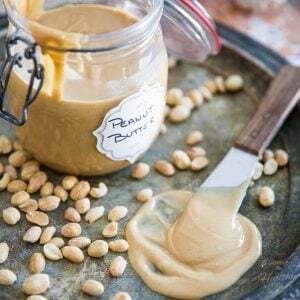 It would be the most “neutral” choice, but you could very well choose to go with rum or bourbon… Needless to say the resulting flavor would be extremely different, but very interesting nonetheless, especially for those sweet tasting dishes, you know. 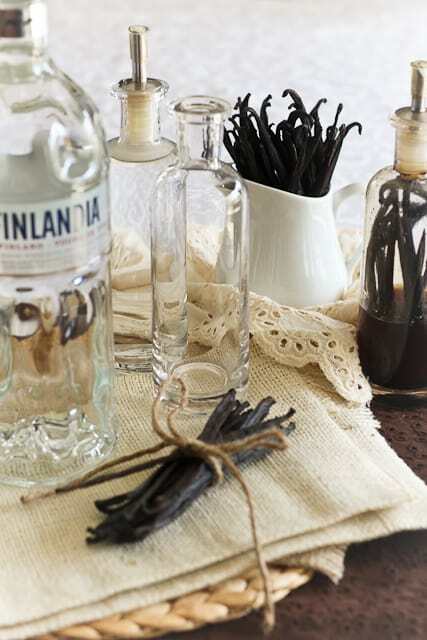 Cut the vanilla beans to the length of your jar (you want to make sure they're all fully covered) and slice them lengthwise, but only through half of it. You want to expose the seeds but keep the ends attached. Place beans in the selected jar(s) or bottle(s) and completely cover with vodka. Place the lid on and shake gently. 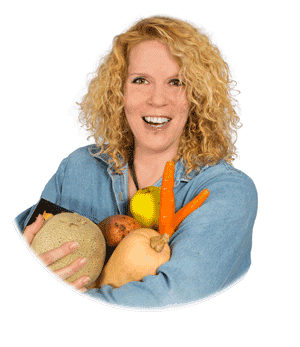 Put away in a cool, dark place (such as your cupboard!) and give it a couple of gentle shakes each day for about a week or so. You can also leave your bottles on the counter at this time if it helps you remember. After a week has passed, you can start shaking less often, like once or twice a week, for about a month. And don't worry, your vanilla isn't going to be ruined if you forget to shake it a few times. When your bottle is about 25% empty, you can top it off with more vodka without affecting the taste too much, but ideally, when you do that, you want to let is sit again for a couple of weeks. That's why I prefer to have 2 bottles going simultaneously. That way, when I top one off, I can use the other one until it too, needs to be topped off, at which point I switch back to the other one. This allows your vanilla to rest without you having to ever hang dry! Shake gently, wait patiently, and be greatly rewarded! Your pics are gorgeous. I’m finally inspired to get around to making my own vanilla. Now, rum or bourbon or vodka… the omnivore’s dilemma, indeed! Thanks for the beautiful post. Absolutely gorgeous and thank you for sharing. I have three (dumb) questions for you if you don’t mind answering? 1. Could you do this alcahol free? I often get questions about alcahol free options…. 2. Where do you buy those gorgeous vanilla pods (you mention an online resource)? I have a bag I bought in Uganda once and I savour every last seed. It is bordering on obsession now…. 3. How long do they keep you think…as in months? Sorry about the dumb questions….I am a ‘home-made-vanilla-virgin’…. There is no such thing as a dumb question, and I don’t mind answering at all! In fact, it’s a true pleasure! in answer to one of the questions. I have not tried it myself. Gorgeous post! I love the idea of making this from scratch, and your bottles look so pretty! Great post! I have a mental barrier when it comes to recipes that take 6-8 weeks. But then 2 months fly by and I end up at the same spot without any home made vanilla extract :-(. I think I need some vodka to cheer up :-). Seriously, this requires a lot of patience, but sounds like it pays off. 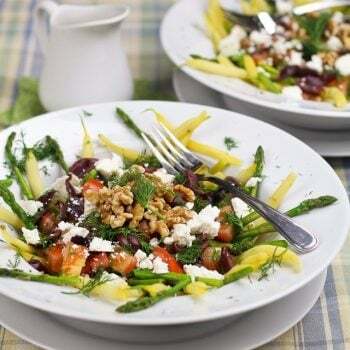 and I am still planning on making your watermelon salad. I am waiting for a sunny day, so that maybe I could take pics (it’s so cloudy here in our sunny Vancouver). Oh, but Elana, it might take 6 to 8 weeks before the vanilla is ready, but really, it requires no work at all! 5 minutes max to slit the vanilla beans and shove them in the bottle, top with alcohol and put lid on. Then it’s only a matter of gently shaking once a day, which takes the better part of, hum, 10 seconds? Oh, and if you don’t want to be bothered with the bottling thing, just buy a small bottle of booze and throw your pods directly in it! Seriously, it’s worth making, trust me! Oh my gosh, what beautiful photos! 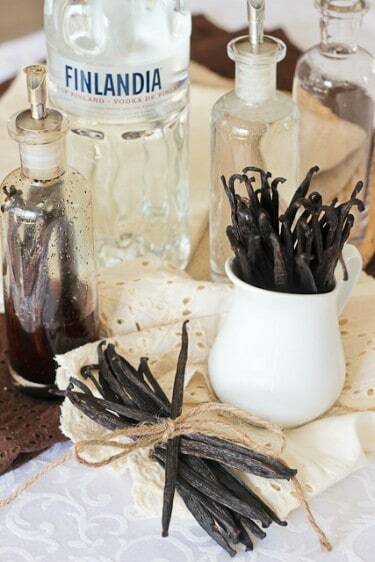 I have some vanilla beans coming in the mail today so that I can make more vanilla extract. I’ve been unimpressed with homemade vanilla too, but I think we didn’t use enough vanilla beans. And what pretty bottles! I just ordered tons of glasses and bottles but I never saw anything like those. Very nice. 🙂 And I really love that second to last shot! Thanks a bunch, Erin. Funnny, I think that my bottles are super boring and have been trying to find better ones for months now, to no avail. These ones I get at a local “hardware” store… nothing fancy! Too funny that you should have bottles AND vanilla beans coming to you in the mail shortly. Hey, where did you order your bottles from? Maybe I would like yours better? Oh, and yeah… using MORE vanilla beans makes a world of difference! After I left my comment I went to my mail box the vanilla beans were waiting for me! 🙂 I made a few bottles with different amounts of beans, just to see. I want to give some away at Christmas (they only have vanilla sugar here, no extract) and so I’m experimenting. If I can get away with less than 8 beans per cup, I’ll be happy. They have six months to… eh, ripen. Thanks for the link… I don’t understand anything, but the pictures are pretty! And yeah, I was so excited when I saw this post and then went downstairs and saw my vanilla beans waiting for me! What a nice coincidence. LOL! Vanilla emporium is right! Just how much of the stuff did you order? I’ve made vanilla sugar pretty often in my life, for sticking your vanilla pods in sugar is a very good way to store them! You don’t get quite as strong a vanilla sugar as when you actually split the beans before you put them in the jar, but still, it does give a lovely fragrance to your sugar while keeping your beans fresh! Of course, I don’t do that anymore, since I don’t use white sugar, or well, any “granulated” sugar, for that matter. I’ve never made my own before, but I think it would be a fabulous gift. Very cute. Beautiful post. Great ideas. I think I saw a lady on a famous channel do something like this. I enjoy your way much more. 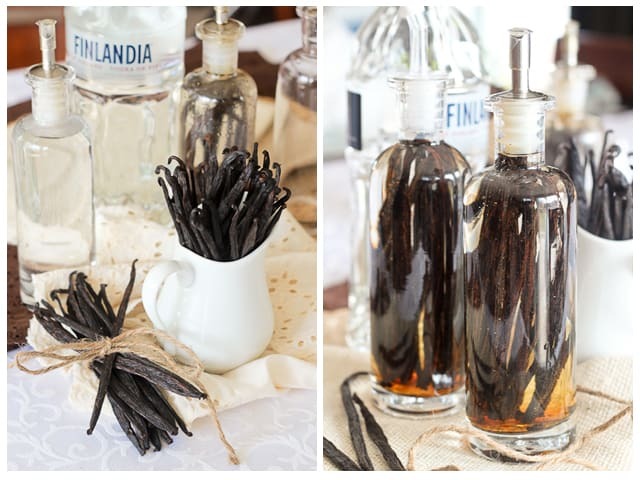 I’ve had an unsuccessful experience with homemade vanilla extract… The name for that was “Vanilla Flavored vodka”. 2 months of wait for nothing. Now I need some courage to try one more time! I totally hear you Natalie. I got that too a lot in the past… not using enough beans, I guess. But this batch here is now 8 weeks old and I can taste a MAJOR difference from using more beans. I’ll give it another 3-4 weeks before I really start using it. By then, it should be really nice and super fragrant! I’m really impressed with the quality of your photos! They’re really great! Now, I’m looking for a trustworthy place in the net to buy my vanillas and start my vanilla extract. 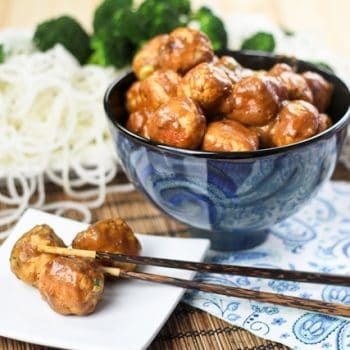 Oh, by the way, I’ve seen this recipe in a Food Channel and they mentioned to use after 6 weeks, but I do really prefer yours.. Only half of this time. I wonder if using really good quality beans makes a difference? 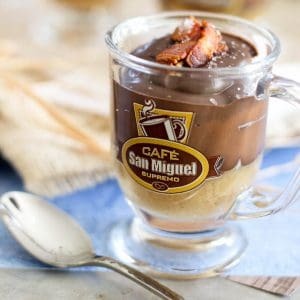 I used beans from Beanilla, three to a cup of vodka, and three months later I had some of the most amazing – and intense – vanilla extract I’ve ever tasted. I don’t know, Erin… but you might be on to something. I’ve never used anything but grade “A” vanilla beans, but I guess all beans are not created equal. And there are so many different varieties too. Maybe some are stronger than others? I’ve been thinking of making vanilla forever but somehow never got around to doing it! We once brought an huge batch of vanilla back when we were in Madagascar. it is soooo cheap there that it would almost be worth flying over there to get some more (lol, now that is maybe not the best financial option with the ticket prices being so high but ok) I got to find an online source as well as right now it is too expensive to make this… Off to find and online source now! Oooo, you know what; I just remember I found an online spices store last week. They might carry vanilla too! Vanilla does not grow in South Africa. We too import our pods from Madagascar. But don’t let that stop you visiting our beautiful country and enjoying everything else it has to offer! Ahh thank you….of course, Google (dohhh!). 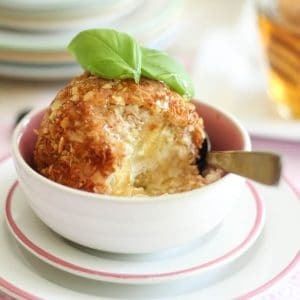 Again, amazing recipe, photos and website, I can see the amount of work that goes into it all. You know, I’ve been meaning to make my own vanilla extract! I had no idea you needed that many beans for one cup of it though. I definitely need to order some beans! I’m wondering if you can advise why my home made vanilla still doesn’t taste like vanilla. I bought two small bottles (200 ml=just over 3/4 cup) of vodka, one Smirnoff and one Finlandia. One has tahitian vanilla beans and the other has madagascar vanilla beans, both purchased from Beanilla and used promptly. Each bottle has 6-7 beans. The beans were cut in half and one side slit down the middle and opened. They have been sitting for over 5 months in a dark cupboard, being shaken periodically. When the bottle is opened, you can smell the vanilla and the colour is dark but there is no vanilla taste. 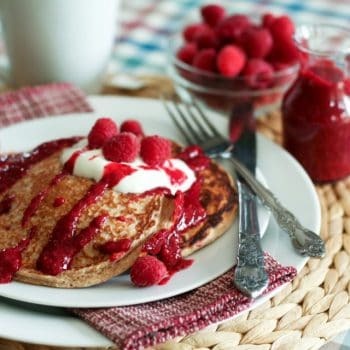 Frankly, they taste like Benylin Syrup! LOL Any suggestions to help my vanilla? 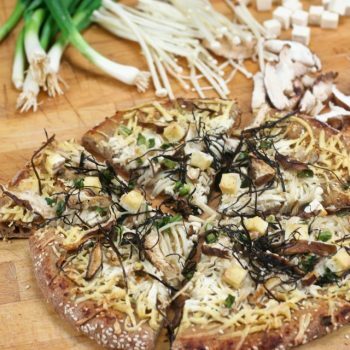 Wish I could help you out here, Leslie… Looks like you did everything correctly, and used fine ingredients too! Seriously, I’ve never heard of Home Made Vanilla Extract going bad before. But it should definitely not taste like cough syrup! Maybe someone else will be able to offer some insight? I received a quart of vanilla extract from a friend. Since I already had some in my cupboard, I put the quart in the refrigerater. I took it out recently and it smells like alcohol. Did I ruin it? Can it be saved? It was fine before I put it in the fridge so I dont think it is too young. Would adding more vanilla beans help? I may need to try this as it is nearly impossible to find vanilla extract here in Istanbul. 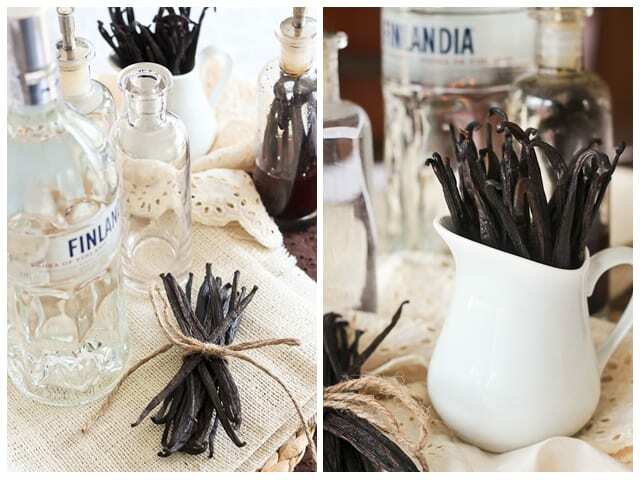 A good website for lots of information on how to make “FDA grade” vanilla along with reviews of various kinds of vanilla beans from different countries, is http://www.vanillareview.com. They suggest 1 oz of beans per 8 fl. oz. vodka (alcohol). 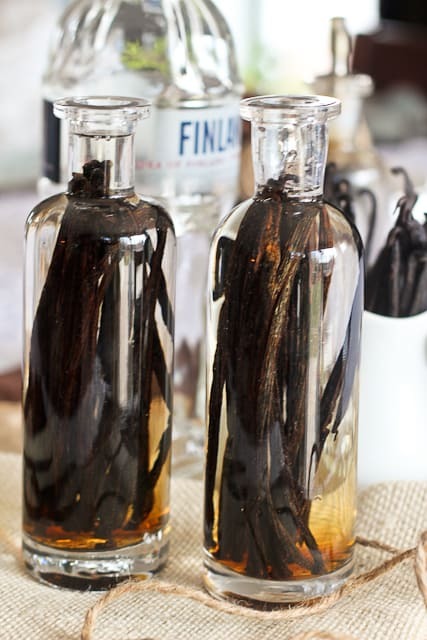 Depending on whether you buy and use Grade A Prime vanilla beans or Grade B Extract vanilla beans, you may need more or less than 8 beans per 8 fl. oz. of vodka. Prime beans tend to be plumper (due to higher moisture content) than Extract grade beans, so you’d need fewer beans. However, Prime beans tend to cost quite a bit more than Extract beans, so you’re actually better off financially to go with Extract grade beans (lower moisture content and not so pretty), because you get just as good as, if not a better, flavor of vanilla from the Extract grade. Also, everything that I’ve read says to not refrigerate your vanilla extract. Keep it in a cool dark place, such as a pantry or cupboard, but don’t store it in the refrigerator. I’ve got 22 bottles of various sizes and bean origins/varietys brewing currently, some with vodka, some with Everclear, and one with Chivas Regal 12 year old scotch whisky. I’m about to try making some alcohol-free extract using glycerine for my older sister who is a breast cancer survivor and also has celiac’s disease. Her system does not tolerate alcohol well at all. Thanks a bunch for that, Miss Tori! What great information this is. 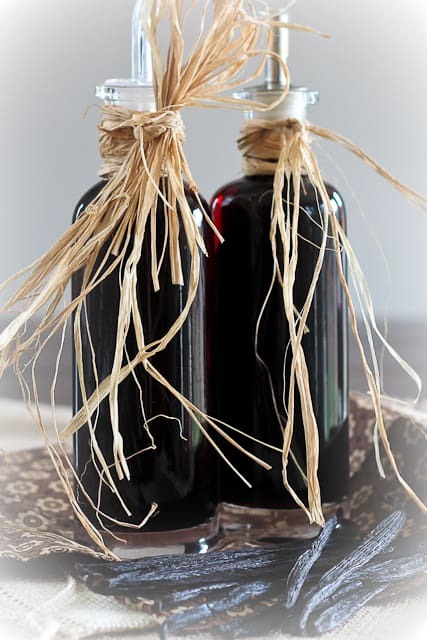 Do you know if it is ok to sell Vanilla extract. I have a small farmers market here and the Man would like me to sell it there. I wish I could help you, Barbara but frankly, I have no idea… Real sorry about that! I have been making my own vanilla for many years. I just use 2 vodka bottles, a 1/2 pint for current use & a pint for brewing. I stuff the pint bottle full of pods and cover with vodka but I don’t split the pods. Whenever I need a concentrated vanilla flavor I cut one of the soaked pods in half across and squeeze the paste out into my custard, etc. I put the empty pod back in the vodka to continue to brew. When the small bottle is empty, I refill from the larger bottle and top it off to brew again. I waited 3 months the first time but have never waited since.